Adding soya chunks to the meal provides easy option for cooking up protein rich meal. Recently my kids are fascinated about soya chunks. 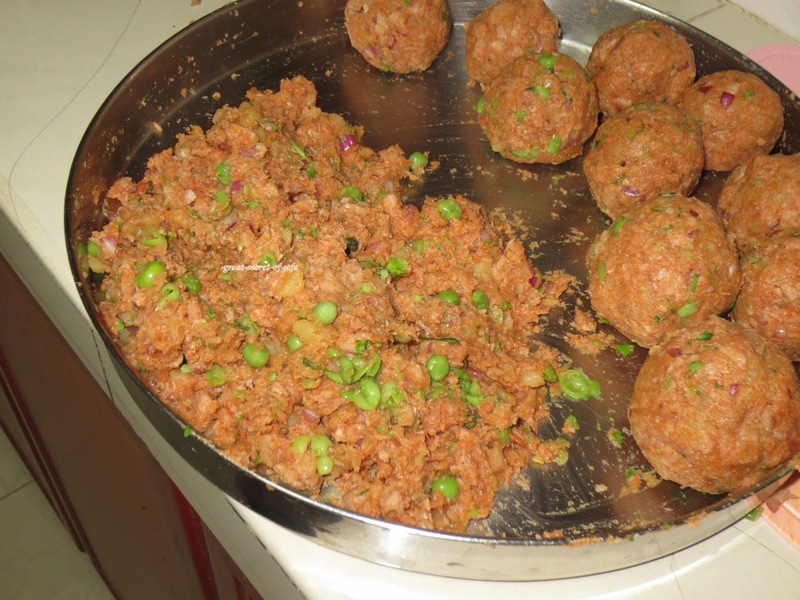 I have posted number of dishes with soya chunks. 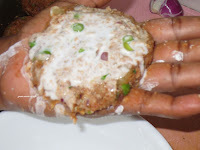 I have done this cutlet many times. 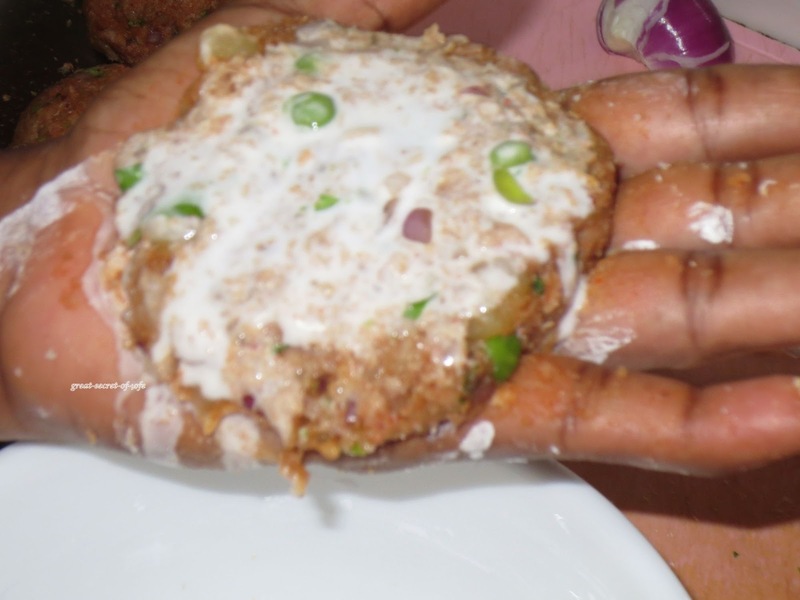 It can be served as snack or patties to the burger. 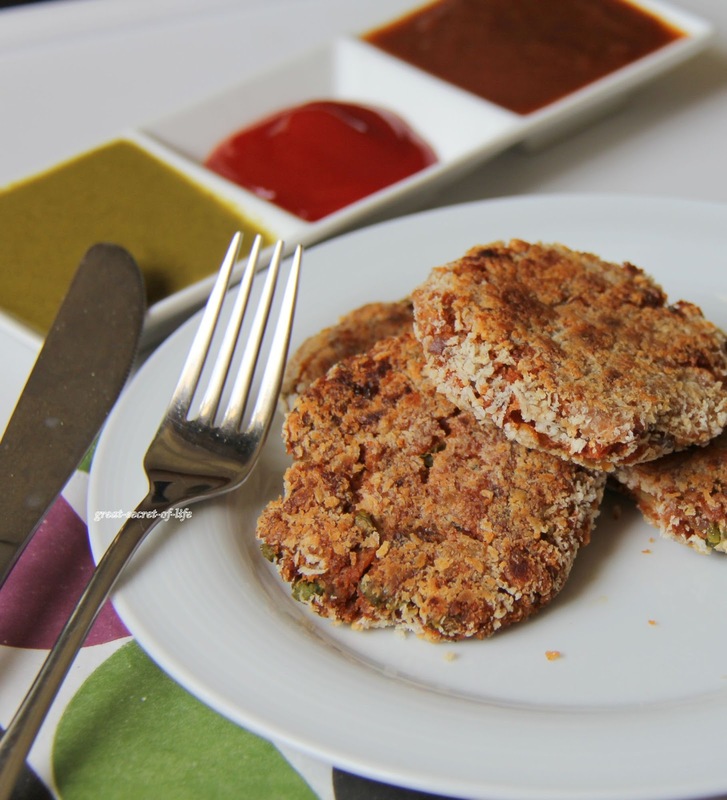 Perfect for busy weekday dinner or lazy weekend snack/dinner. 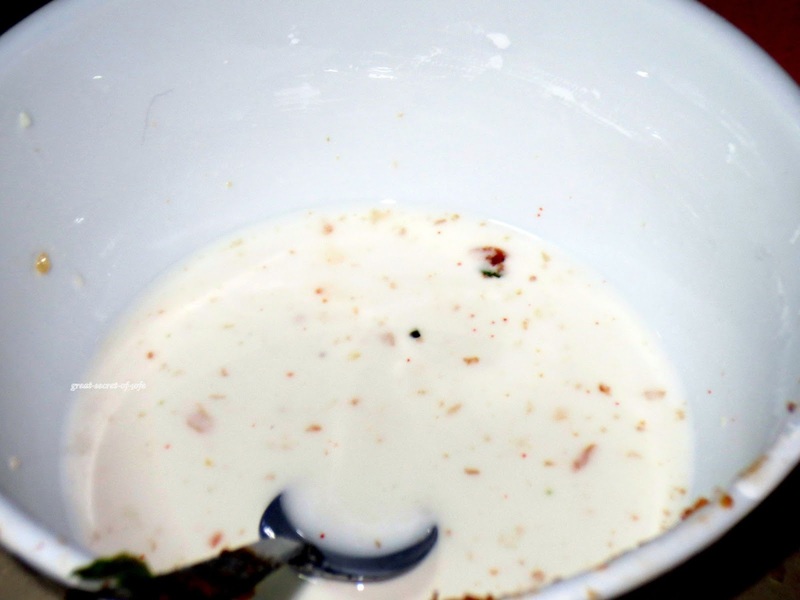 In a small size bowl, Mix all purpose flour and corn flour and make a medium consistency batter by adding water. 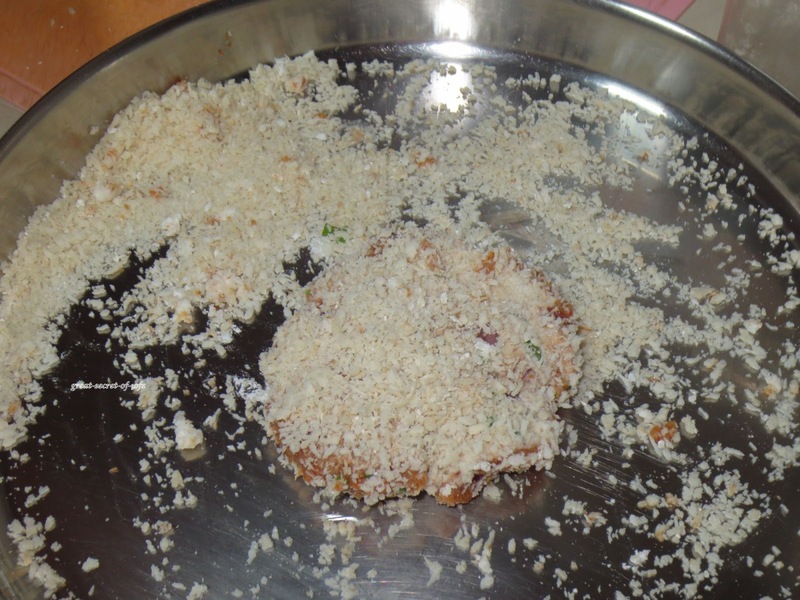 Broader plate take breadcrumbs. Heat flat tawa/pan. 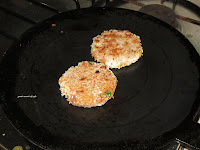 When it is hot, dip the patties into the flour mixture one by one to make a coating and then make a coating of bread crumbs. 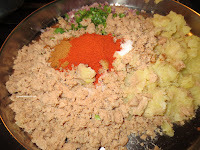 Put them in the hot pan and cook till the side are slightly turned brown. Flip to cook other side. 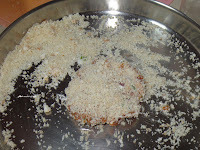 Protein rich cutlets, nicely done Veena.. 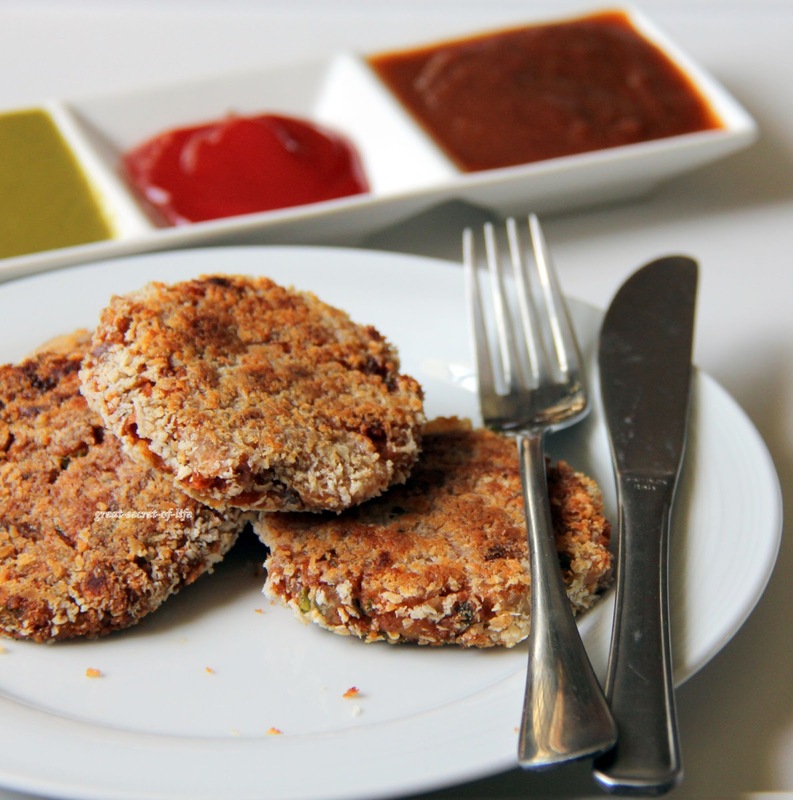 I have never thought of the same idea of using soy for cutlets. Its a brilliant idea and I still have the chunks in my fridge. 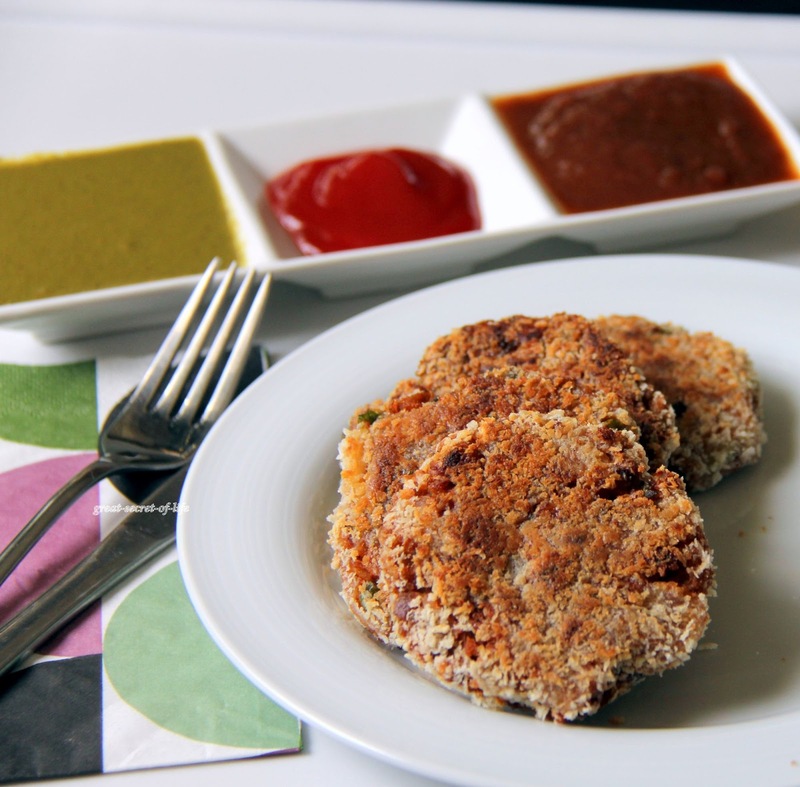 The cutlets are so perfectly made, crispy crunchy layer and yes, the sauce infuses that spicy taste I need. 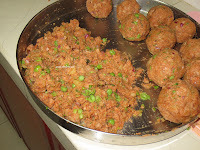 I made same but tikki. Its in my draft. Cutlets sounds good. 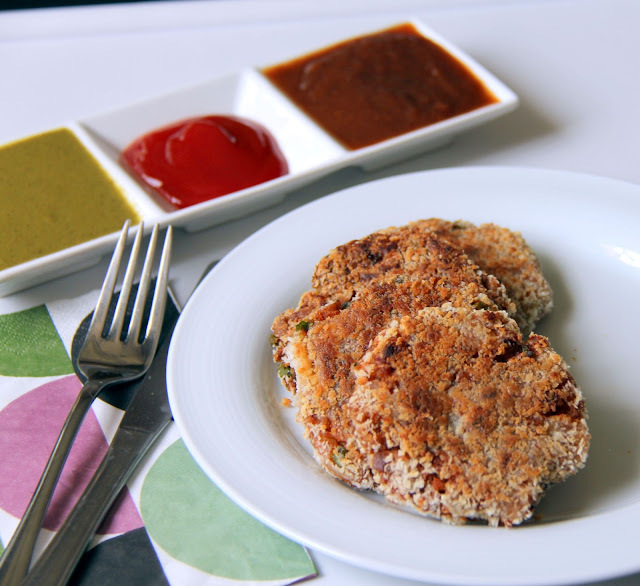 delicious crispy cutlets with wonderful clicks. So crispy soya chunks cutlet! Having difficulty finding soya chunks. What is the brand name? Are they in the frozen food section?